Primobolan for Women is it Safe? 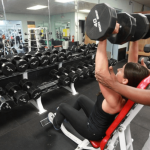 A big topic on many bodybuilding forums relates to women looking for steroids to help increase muscle and improve overall training performance. Primobolan is one of those steroids that women will consider. In this article, I will discuss Primobolan benefits and side effects for women. Primobolan is available in two presentations Primobolan (oral tablets) and Primobolan Depot which is an injectable. The steroid itself has some unique attributes which is why women consider using it. One of the biggest concerns among women who consider using anabolic steroids of any kind are the side effects they can cause, in the case of Primobolan it has an anabolic rating of 90 and an androgenic rating of 45-55. The androgenic properties are always a concern because they are what cause masculinization in women. Women often consider taking Primobolan because it has a lower androgenic effect than other anabolic steroids. The Methenolone hormone was first introduced in 1962 by Squib, now (Bristol Myers – Squibb) Squib introduced both the oral pills and injectable Enanthate. Back then, they were sold as Nibal Depot (Injectable) and Nibal (Pills). After just a few years and poor success of the product, Schering would purchase the rights to the hormone (Methenolone) and re-introduce it into the market as Primobolan. Since then, it was never again produced in the U.S which is why it is known mainly as a European steroid. What is Primobolan Used For? Primobolan is best known as a long-lasting anabolic steroid with mild anabolic side effects and exceptionally low androgenic properties. Primobolan is used in the treatment of osteoporosis and it has been prescribed to treat underweight infants and children with little or no side effects. The main purpose of Primobolan is to treat muscle wasting disease. If you are a female bodybuilder looking for a relatively safe way to increase muscle mass. Primobolan does not cause progestin activity nor does it aromatize into estrogen making common side effects like water retention and gynecomastia almost nonexistent. The risk of high blood pressure when using this steroid is also considered low. When it comes to anabolic steroids Primobolan has one of the better safety ratings. Its viralization effects can easily be prevented when reasonable dosages are administered. However, for increasing muscle it does not work as fast as other steroids. Primobolan delivers slow but steady results. Methenolone acetate is highly recommended for women because it has a shorter half-life than Methenolone enanthate depot. Methenolone acetate is not liver toxic, unlike other oral steroids, it is a mild steroid. Its androgenic activity is considerably low. Primobolan is highly recommended when side effects are a concern. Primobolan is not a c17 alpha alkylated like most steroids, it is among the few commercially manufactured oral steroids that don't cause harm to the liver. Even so, there is no reason to abuse it. Another reason women choose Primobolan is that it does not aromatize so there are no big spikes in estrogen levels. A Primobolan cycle is significantly long (it lasts about eight weeks). This is because of the moderate action of the drug. However, prolonging the duration is not recommended (Women should not exceed the recommended 8-week cycle). Although there is no standard therapeutic dosage established for females. A recommended Primobolan dosage for women ranges between 25 mg to 75 mg a day and 50 to 100 mg per week for the depot. This is one of the most significant concerns for women. 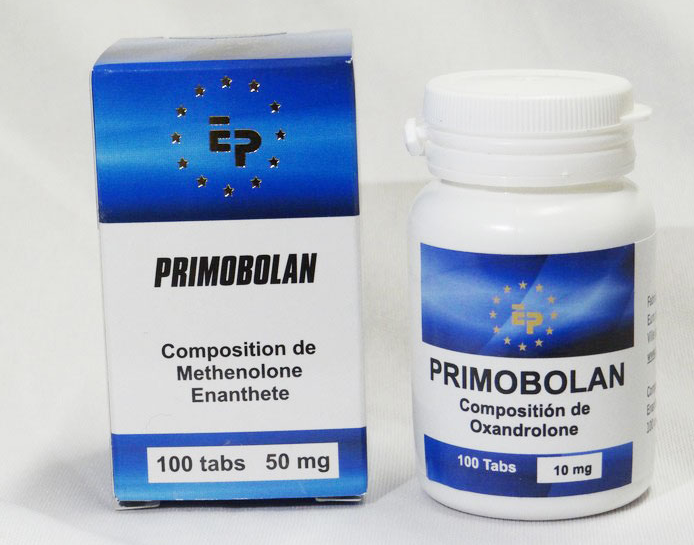 Although Primobolan is considered mild, it is still strong enough to cause permanent androgenic side effects like increased facial hair growth, acne, clitoral enlargement and deepening of the vocal chords. Therefore, you are advised to be extra careful with dosages. If possible, opt for oral Primobolan because the half-life is short, whereas injectable Primobolan remains in your body for a considerably longer (10 days). Ever wonder why you see some fitness models or female bodybuilders wearing wigs? You guessed it, it's due to steroids. Primobolan is known as one of the worst steroids for hair loss. So, if you are genetically predisposed to hair loss in your family, you should think twice before taking it. Although 5-alpha reductase inhibitors like Finasteride are used to combat this side effect, they virtually do not affect Primobolan because there are other factors that cause hair loss when using Primobolan. 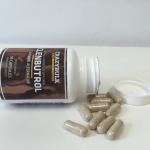 This supplement suppresses HDL cholesterol while increasing LDL cholesterol. 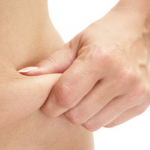 Fortunately, you can increase healthy cholesterol levels while still using Primobolan. All you need to do is make sure that your diet is rich in healthy cholesterol and also implement regular cardiovascular exercises into your training routine. The use of any steroid inhibits natural testosterone production. However, since women require small amounts of testosterone there is no need for any sort of exogenous therapy. The injectable version of Primobolan was discontinued back in 1993, while Primobolan can still be found in an oral and injectable form, both are hard to get. Even worse, most of them are only available from the black market or underground labs, so in most situations, it's hard to guarantee a genuine product. When it comes to taking Primobolan in spite of its so-called (mild side effects) anyone who knows anything about steroids will usually advise women to take kind of SARMS (Selective androgen receptor modulators) Instead. However, SARMS can often be harsher on the liver than Primobolan itself. Is Primobolan Right For You? Even with a short Primobolan cycle, most women will not gain a lot of muscle, many will end up stacking it with other steroids like Anavar. If it is just a few pounds of muscle you are trying to achieve you are better off adjusting your diet (increasing protein) and adjusting your cardio. When it comes to steroids Primobolan is probably one of the better choices for women, many swear by it. 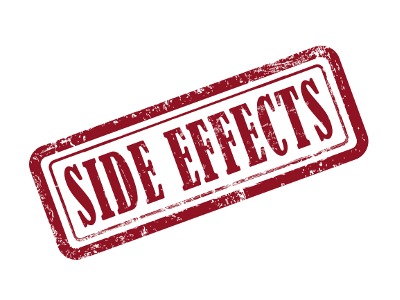 There are some women who have complained about side effects, then again those who have complained have not specified what kind of dose they were taking. The biggest concern women should have is trying to find a legitimate source because there are a lot of counterfeit versions sold that should be questioned when it comes to the legitimacy of the product. If you are reluctant to take Primobolan that is understandable, however if you are looking for something that offers similar beenfits there are other options. You may want to consider looking into a legal Primobolan alternative.